The Best Haircut for Your Face | Valet. 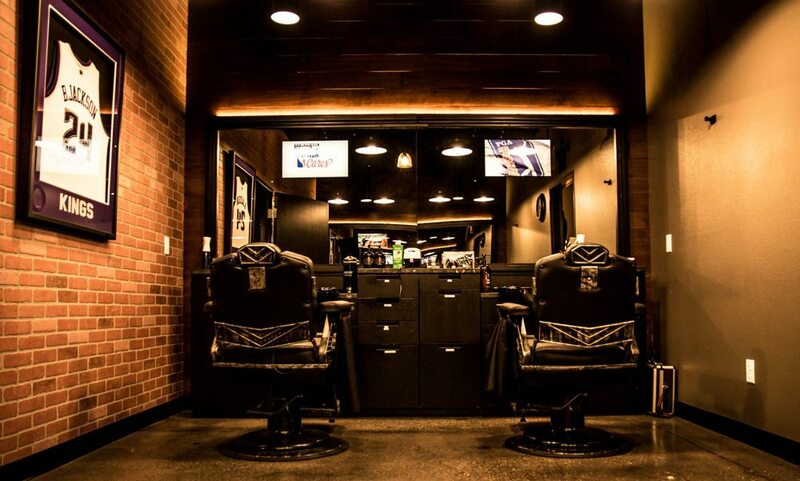 A look inside one of Hammer & Nails' barber shops. Haircuts are important when it comes to your style. Maybe more important than your clothes. Because unlike a bad outfit, you can't take off a bad haircut at the end of the day. But you should think of your haircut the same way you think about your wardrobe. Because just like with clothing, the best haircuts aren't general, one-size-fits-all styles, they're tailored to suit your body—or in this case, your face. So the key to looking your most handsome, is to ask your barber for a cut that suits your face shape. It's not a precise science, of course, but there are six main shapes that most of us fall into (with a lot of grey area in between). We asked Ivan Zoot of Hammer & Nails, a men's barber and grooming shop with locations across the country, for some wisdom on how to tailor your next cut to the proportions of your face. "Show off the definition in your hairline and cheekbones by sticking with a classic neat haircut. Consider going for a close fade, French crop or even a buzz cut. For an enhanced look, a five o'clock shadow can round out your entire face and add texture along the jawline." "Men with a rectangular face can accentuate it with a short and feathery haircut on top. Letting your hair fall down and to the sides will add width to your face for a well-proportioned look. A clean and fresh face with no facial hair will bring this look together." "To give one's face a narrower look, try keeping the sides and back trim while only cutting a minimal amount from the top. Ask your barber to add some defined edging to your hairline, such as a narrow part or dramatic fade." "Men with a circular face have a balanced look and are able to take a little risk to create definition. Consider a pompadour or flat-top to narrow out one's look. Heavy scruff or a full beard is a great addition as it will enhance the jawline." "Men who have a prominent, pointed jawline and wider forehead, are able to enhance their strong features by adding volume to their hairline. Longer comb-overs and fades add depth on the hairline and balance in the face. If you're a fan of facial hair, grow out a little stubble, if you really must, but we recommend that it's best to be clean shaven." "With a face shape that is wide at the temples and hairline but narrow at the chin, one should ask their barber for a mid-length or longer hair style that softens the definition of the forehead. Consider a hairstyle that flows or sweeps back. Add definition to the chin and jawline with some stubble or a beard." You might not realize it, but the guy you admire with great hair? He's likely using a blow dryer. "It's like a power tool for your hair." Switch up your shampoo and see a noticeable improvement in the number of good hair days.